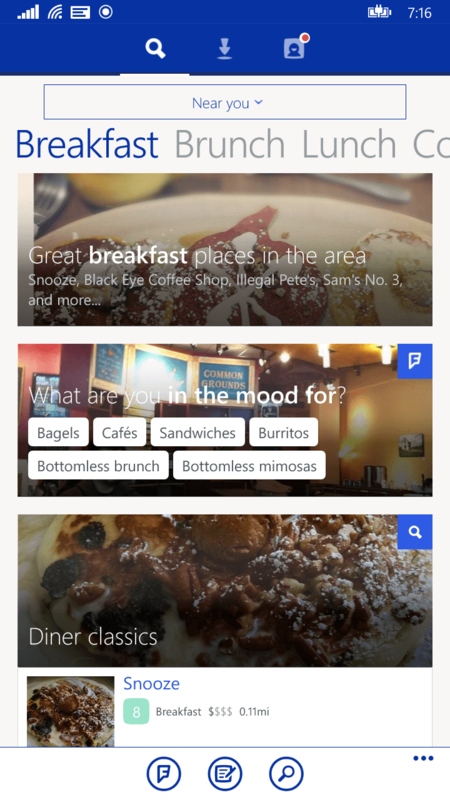 Foursquare has released a minor update to their Windows Phone app that addresses issues around the app’s Cortana integration. The update, version 4.1.1.0 for those keeping score at home, has only one issue that is addressed in their release notes: Addresses an issue when opening places for Cortana. It is not clear how widespread the problem has been or if it was specific to particular devices. Regardless, if you use the app, get the update to avoid any potential problems. account to get recommendations near your location. It is a fundamental shift in how the company attracts new users as they try to gain back some of the market share they had at one point in the social check-in space. Many users have moved on to other services after they split the check-in aspect out of the Foursquare app itself to the standalone app Swarm. For its part, both apps have continued to mature over the course of the past year and both are updated frequently. The update to the app for Windows Phone is free as is the service should you chose to sign up for an account.